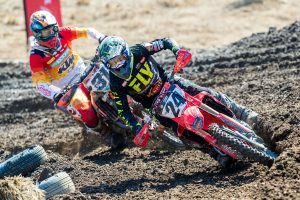 Nathan Crawford has declared a ‘barrier was broken’ at Broadford’s third round of the 2019 Pirelli MX Nationals yesterday following a motivating performance in race one. The popular Queenslander has been racing himself back into shape this year after a leg injury denied him of a pre-season campaign, resulting in uncharacteristic results at the opening rounds. 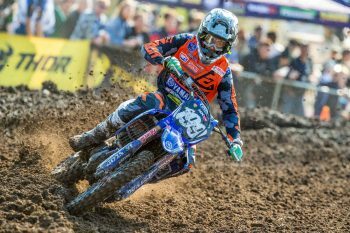 The Serco Yamaha ace showed signs of his usual self in the opening encounter, slicing his way to third while setting the second fastest lap of the race. 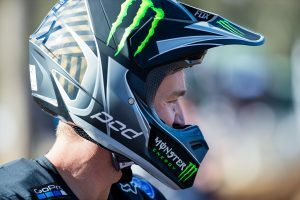 A clash at the start of moto two ultimately hindered Crawford’s overall result, mustering up a seventh place finish for fifth overall – his best result of the season. “It feels good to finally be back in the battle again,” Crawford admitted. “Its been a long eight months off the bike and I have worked so hard to get not just my fitness and speed back, but also my health in general. “Moto one was awesome and just after halfway I felt things begin to come easier for me, like a little barrier was broken. I was able to ride my turns better, flow on the track better and ride with some speed. While I didn’t win it, it was a little victory to me as I come back. The number 199 now sits fifth in the championship standings as the MX Nationals heads to Murray Bridge in South Australia for the first double-header of the season, scheduled for 4-5 May.